You might see these swirly weird things at the farmers markets now in late June......they are garlic scapes! 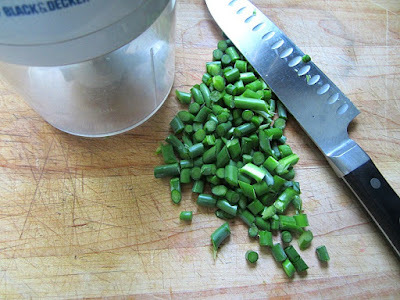 Garlic scapes are the flower bud of the garlic plant. The bud is removed in late June to encourage the bulbs to thicken up. They taste like garlic, but a bit milder....you can grill them, chop them for pesto or make a scape hummus (which is SO GOOD) with these funky alliums. 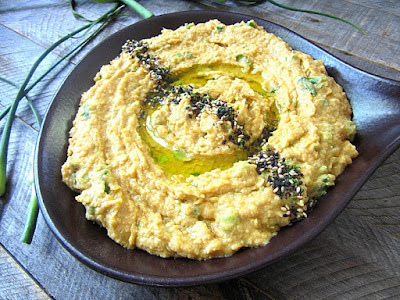 This is an amazing hummus/dip. We ate the entire bowl w/ toasted pita for dinner. I read recently not to refrigerate hummus......serve it warm or at room temperature like they do in the Middle East. 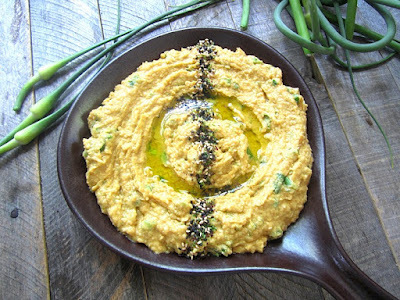 This was the best hummus I have made to date. Whiz all ingredients in a food processor or mini chopper. If the hummus is too thick, add a tsp of water to thin. 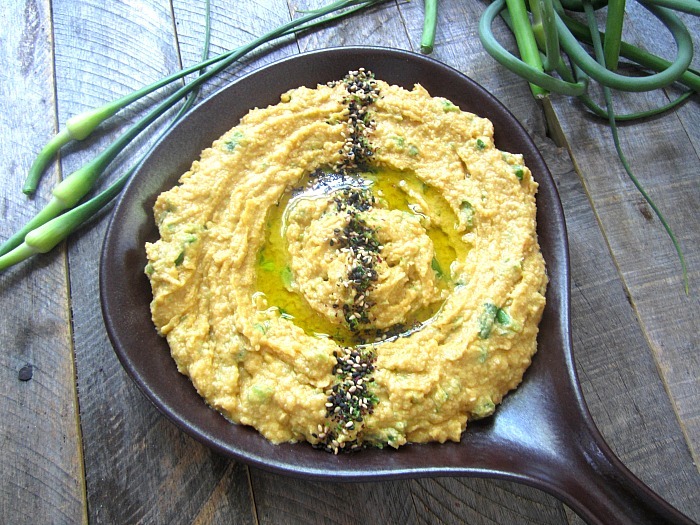 Make a well in the hummus before serving and drizzle w/ good olive oil and sprinkle with sesame seeds. Toast pita and cut into triangles. dang, mine have already been past the scape stage for a while. The bees have been loving the blooms for weeks now. 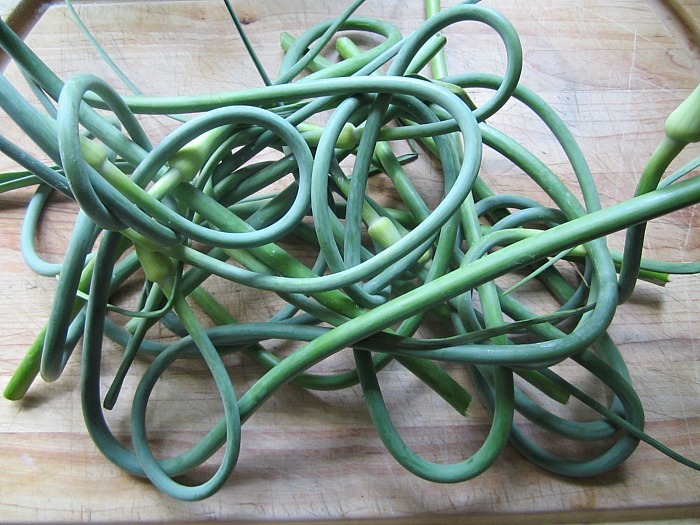 Maybe I can remember to use the scapes next year.